A whole year gone so quickly, yet providing you both with a rich fund of tales to tell wherever you are (there MUST be at least one book in this?!). Whether you realise it yet or not, you both continue to grow in wisdom and experience, with a deeper understanding of your own lives enriched by the wonderful variety of people’s and cultures you are seeing and interacting with. The most significant aspect of your travels seems to be that you are meeting the people, rather than travelling the ‘tourist’ road. Others may have seen the sights; you have immersed yourself in the culture. We wish you both continued good health, wonderful experiences, and joy in your travels. On one hand, it doesn’t feel like we’ve been on the road for a whole year, but when we take just a moment to recall where we’ve been, what we’ve seen and all the lovely people we’ve met, it feels like we’ve been travelling a lot longer! I can’t believe it’s a year already since we were having farewell Goan dinner and beer at the Brickies’, that’s extraordinary. I know, crazy isn’t it. It’s even 5 months since we were drinking cocktails in Saigon! Another added bonus today is the spot the difference picture! 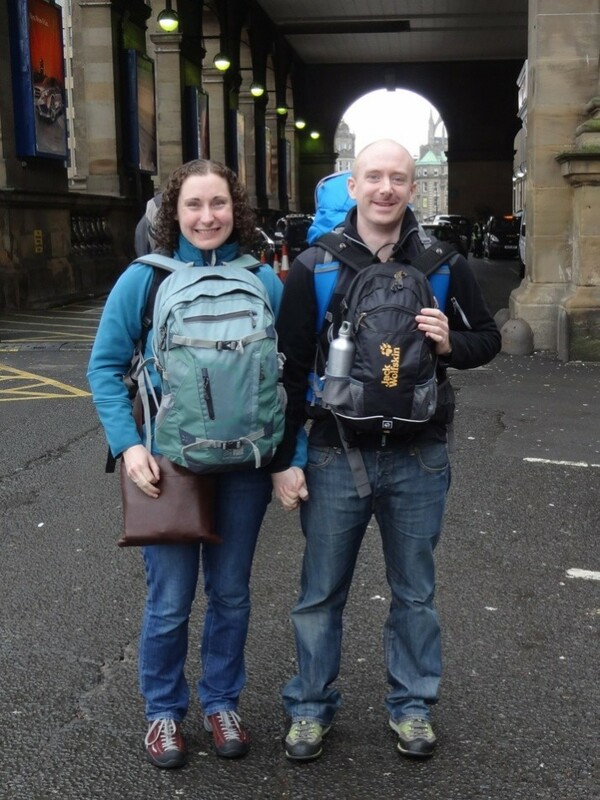 2) Andrew’s big rucksack seems to have shrunk. Or Andrew’s grown. I suspect the latter. 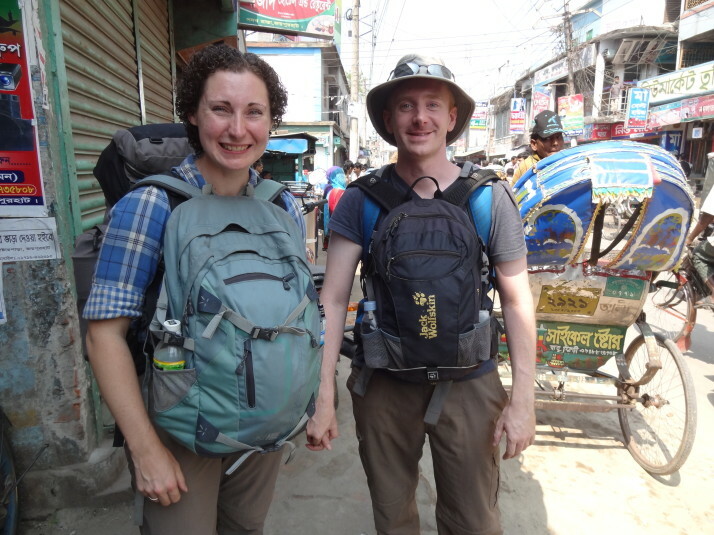 1 and 3 can be readily explained by the difference in weather between the UK and Bangladesh, they’ve just swapped places in and out of the rucksacks. 2 is more tricky, it’s possibly the angle of the photo, or maybe we had a packed lunch in the top of Andrew’s bag in that first picture!